You may wonder at the title; if these are termite control tips, who would buy a house with termite damage? Well, believe it or not, some people think that this is a good deal. In order to understand why, you have to first understand that 15% of the homes in the US already have termite damage. Of the $5 billion USD spent each year on termites, only a small fraction is spent on prevention. Knowing that termite damage exists and that the house has been treated for termites in the past puts you ahead of that curve. There are termites present in every US state except for Alaska, so the odds are that if you live in the US you will eventually encounter termites. A house that has already been treated and may have damage, may come at a lower price than a house with an unknown termite history; the latter may actually have more damage that has never been documented. At least, if the termite damage is disclosed, you know what you are getting into. So, you’ve found the perfect location, best neighborhood, A+ rated schools and shopping nearby. The price is right and you want to buy. Perhaps you plan to do renovations anyway, so you think termite damage will be repaired when you do. The termite damage is what you need to assess. Have a new termite inspection done and then sit down with the homeowner to negotiate your terms. They must pay for the termite treatment if there is evidence of termite activity. Termite treatments often come with a termite bond that is good for 3 years or more. 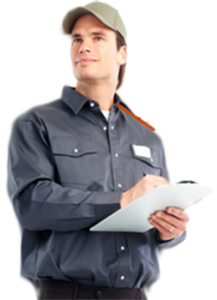 Your end is to have the yearly inspections which are at a minimal premium when compared to treatment. 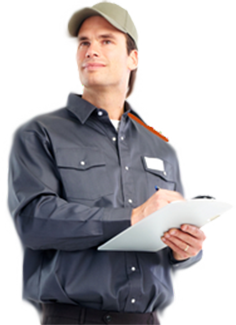 You should also hire an engineer to inspect the house before you buy, some states require an engineer but some do not. Make sure that you hire an engineer, even though the inspection will cost more; it’s your investment and the safety of your family at stake, so money should not be an object. If the inspection turns up structural damage, then you should get three estimates and present these to the current home owner. This could bring down the price of the house considerably; or you may work out that the seller pays for repairs. If the seller pays for repairs, insist on termite, mold and fire resistant materials. In many states these materials are already mandatory under the latest building codes. Renovations that you have planned could be a lot more costly if the structural damage is worse than expected. Make sure that whatever you do, you do not sign for the house in “as is” condition because you may have difficulty later, if the problems are more extensive than you believed. Be clear about who pays for what and get that in writing; don’t sign until all of the details are ironed out. Finally, decide on the course of termite control you will implement. Many times the wrong control is used; repellent rather than bait for instance. If there are still termites in the home, repellent could be a bad idea. Bait stations offer an alarm when properly used, making you aware of termites before damage is done. Talk to you termite control in Tempe for the latest in protective measures.